Now let's be honest. 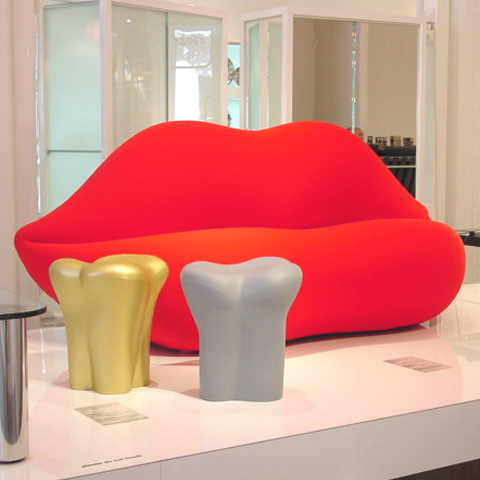 Who doesn't want to sit on a beautiful set of red lips? I know many of our readers and they will agree, RED HOT lip's are always HOT and in demand. These Italian lip's are RED HOT and made for comfort. This 70's period piece of Italian furniture is offered by our friends at MOSS. A classic of radical 1970s design. The sinuous mouth shape makes it an effective and sensual icon. Kick up your feet up, stay a while and enjoy the KISSES this Italian can offer.